New research published by the National Drug and Alcohol Research Centre found Australians may opt for secrecy rather than seeking support due to the stigma around prescription opioid treatment. “People often believe opioid dependence is some sort of moral failing, yet we know that it is commonly associated with opioids with medical use, and effective treatments are available,” said co-author Suzanne Nielsen. 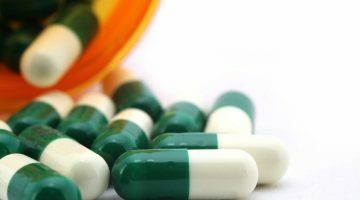 The study, Stigma and Social Support in Pharmaceutical Opioid Treatment Populations: a Scoping Review, found that pharmaceutical opioid use and harms are increasing dramatically. 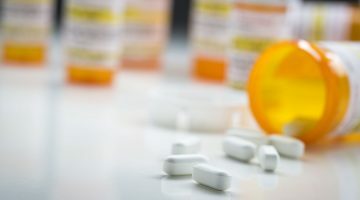 People in opioid substitution therapy feel heavily stigmatised at clinical structural and political levels, it found; people who use pharmaceutical opioids experience drug-related stigma in complex and unique ways. 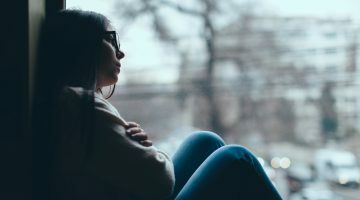 Studies in the US and UK have found that harmful portrayals of ‘junkies’ and ‘druggies’ can lead to patients hiding their dependence on prescription drugs, often due to fear of their family and friends’ reactions. “Stigma around opioid dependence can delay or prevent treatment entry, and treatment can save lives. This makes strategies to address stigma around substance use at an individual and community level critical,” says Dr Nielsen. ScriptWise CEO Bee Mohamed says Australia needs a national public awareness campaign about prescription medication addiction to face this issue head on. “Opioid dependence is a common consequence of being prescribed these drugs for an extended period of time,” she says. “It’s a health condition, just like diabetes or asthma, and both patients and health professionals need to be aware of this. “Health professionals such as pharmacists and GPs are on the frontline: they have an essential role in destigmatising this issue and helping their patients access treatment,” says Ms Mohamed. Prescription opioids were involved in 70% of accidental opioid overdose deaths in Australia in 2013, making it a bigger killer than all illicit drugs combined, according to research published by NDARC’s Drug Trends Program. ScriptWise has created a “Faces of Recovery” campaign, viewable on its Facebook page, to help destigmatise pharmaceutical misuse. The campaign features Rustie, a mother from the Latrobe Valley, who shared her personal story in a bit to encourage others to seek treatment. “When I was sixteen I started getting pain in my lower back and down my right leg and I was given Panadeine Forte and Valium. That was the start of my 32 year struggle with addiction,” said Rustie. Meanwhile, common anti-anxiety drugs including Xanax and Valium have been implicated in half of all non-fatal injected drug overdoses in a new study. The University of Queensland’s Professor Jake Najman says benzodiazepines appear to be a greater contributing factor to overdoses than alcohol, and need to be given prominence in harm minimisation strategies. The Queensland Alcohol and Drug Research and Education Centre interviewed people from four Needle and Syringe Program sites who had accidentally overdosed in the previous year. “Participants were typically male, middle-aged, with long injecting histories which had not prevented their most recent overdose,” Professor Najman says. “Half of the participants reported mainly injecting pharmaceutical opioids such as morphine and oxycodone, with some suggestion they were considered ‘safe options’. UQ School of Public Health researchers Dr Fairlie McIlwraith and Dr Andrew Smirnov and Queensland Health’s Robert Kemp collaborated with Professor Najman on the study. They found participants were most likely to have taken prescribed drugs, benzodiazepines and cannabis in the 48 hours prior to overdosing. “This sample group uses a cocktail of drugs, with a pattern of use that suggests they obtain whatever drugs they can,” Professor Najman says. “Such a cocktail, which must vary in range and potency from day-to-day, is, not surprisingly, associated with an overdose history. Professor Najman says barriers to calling an ambulance needed to be better understood, occurring in only 38% of cases. “This reluctance was partly influenced by not wanting police involvement, but it also related to unwanted scrutiny, particularly if bystanders were intoxicated from their own drug use. Professor Najman says the study did not support previous findings that being in drug treatment substantially lowered the risk of a heroin overdose. Two-thirds of participants said their overdose did not prompt them to seek information or assistance about their drug use, but three-quarters reported changing their pattern of drug use as a result.